posted February 10, 2018 12:01 AM bonus applied by Maurice on 02 Mar 2018. Edited by fiorin at 08:42, 15 Oct 2018. All other 3 models are temporary taken from hota lod. Gonna be replaced, dont worry! 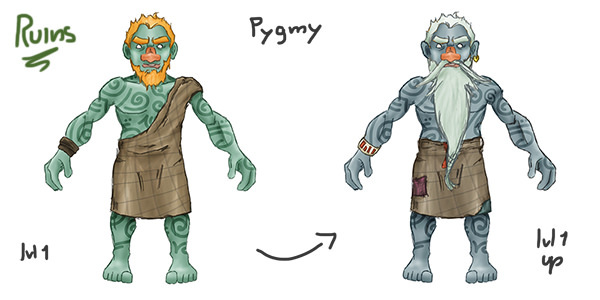 > New Pygmy model added! > New Stalker model added! 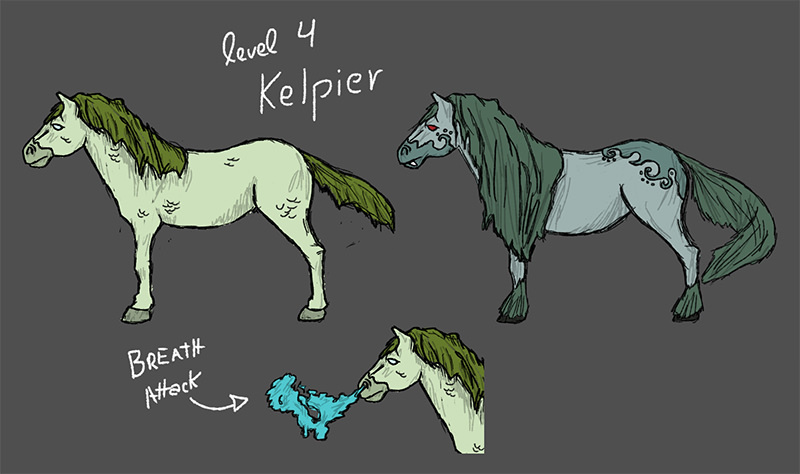 > New Kelpie model added! 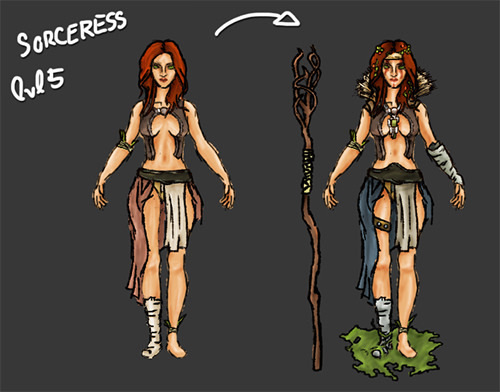 > Living Stones model reworked! 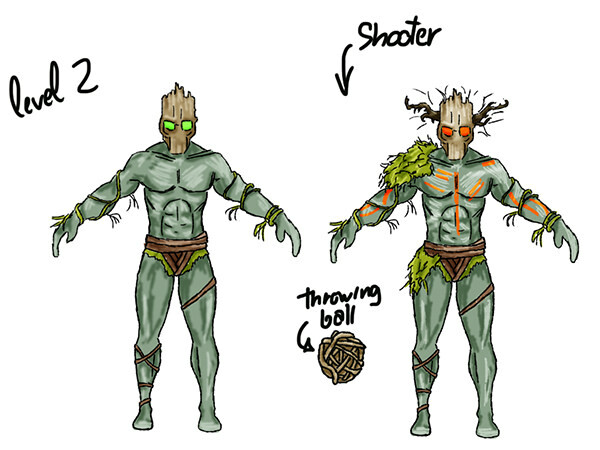 - New lvl7 model added! love the townscreen progress. interesting dwellings, too. I like many buildings and progress is effectively intresting. Things are going more good they're more going well "together". You have idea of creatures shall go in ? what is the unique building? Edited by fred79 at 15:24, 10 Feb 2018.
they did that with the later heroes games. my guess is, because it'd be filling an otherwise already-filled 800x374 pixel townscreen with unnecessary stone(which would block other graphics). 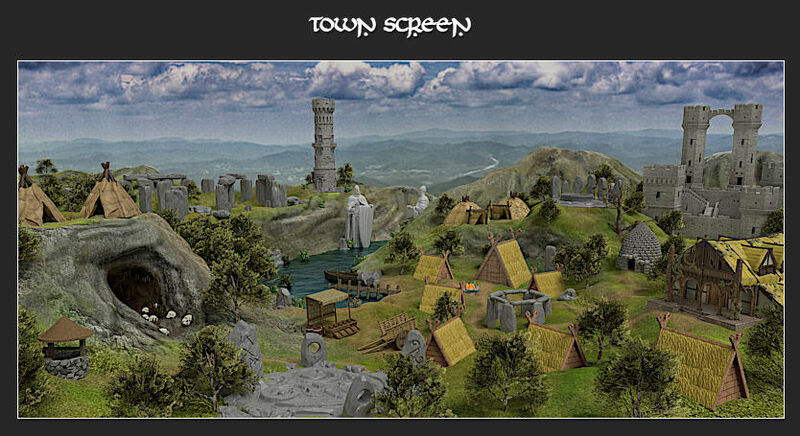 if you think about it, would you really want so much stone in each townscreen? it'd get old fast, imo. just like the later heroes games. - The citadel look not "tumbledown enough"
What means 'tumbedown enough' ? Lvl6, me neither. I was trying some animated thing, but when over mouse all buggy. 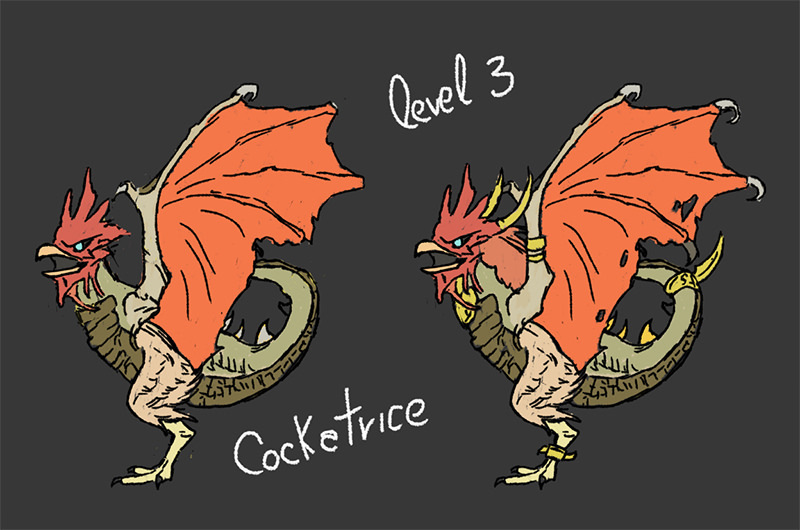 I do have idea about all creatures, i just redoing all sprites. The uniwue building gonna try works something like a library from conflux, but focused on survivalist skills: logistics, pathfinding, scouting, resistance... For now, just a library conflux, until is possible edit behaviour. Right buildings gonna work like a knowledge bonus. Theres a few more ideas about buildings, but need do the graphical first. Edited by FfuzzyLogik at 21:50, 10 Feb 2018. Oh yes, when we see it with upgrades, thats looks truly better ! I just thought the forest was not building... This look a bit similar of Rampart in some ways. Samly I find capitol looking a bit small ? Good points. 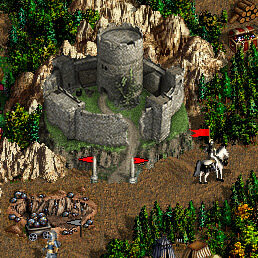 Castle was only building made from a 3d model. Exported from unity3d, but im gonna need redo at some point, cause that model is the same for castle map object. Im having a hard time 'coloring' castle 3d model. But, for now, what you think about that change ? Edited by FfuzzyLogik at 21:40, 11 Feb 2018. I find the second better and the trees around are nice. I just find the walls a bit too "clean" with the new recoloration. The eastern tower is really looking in dark. 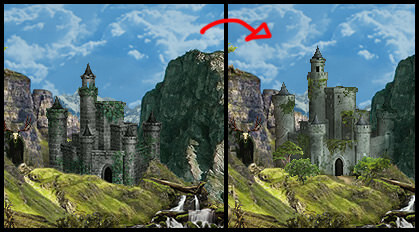 Maybe the upper turrets don't look perfect in the sky ? As told, the mage guild don't look good here. No interaction, not really a ruin, not see "levels"... I suggest a rework. I really like your unique building is looking like monastery. It may be a creature dwelling, very beautiful and impressive ! The lv4 looks more like a decoration than a "building". Its one more creature of "forest" who goes in ? Lv5 and 6 don't look very impressive too I find but they are nice and going well with other things. I hope it helps, have fun in modding ! Few technical issues to consider for this promising town. - Heroes have OP abilities. VCMI gives many possibilities for specialty settings but you must be carefull with them. For example Aker has 20% reduce defence. Like Behemoths. But this bonus propagates at all creatures in hero's army. Huldra has battle no fleeing bonus. So it's like having Shackles of War at the start. Definitelly too powerful. 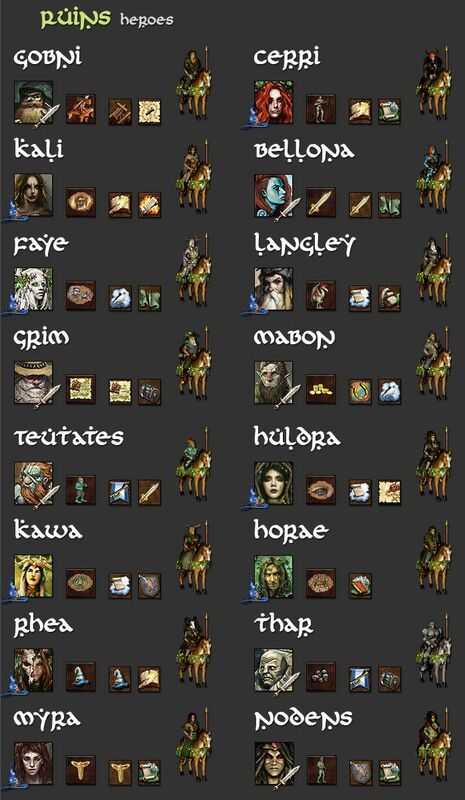 I know, such specialties have heroes from neutral heroes mod, but keep in mind these heroes are rare and they seldom appear in towns' taverns. 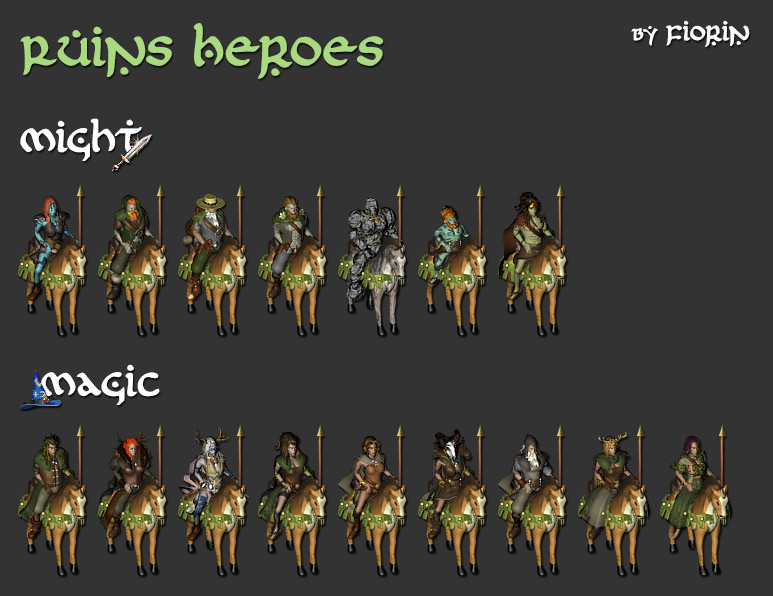 Another thing: rule is that only magic heroes has spellbook at start, might heroes start without it. You must properly calculate AI/Fight value. These values are for random map generating and AI behaviour. You have good, tiny calculator at mod wiki list. Adv amount values are different for non-upgraded and upgraded creatures. How to get them? Simply. Open SoD map editor, place any creature on the map, click at creature with right mouse click and choose option 'What's this?' Then you'll get proper adv amount values of any non upg./upg. 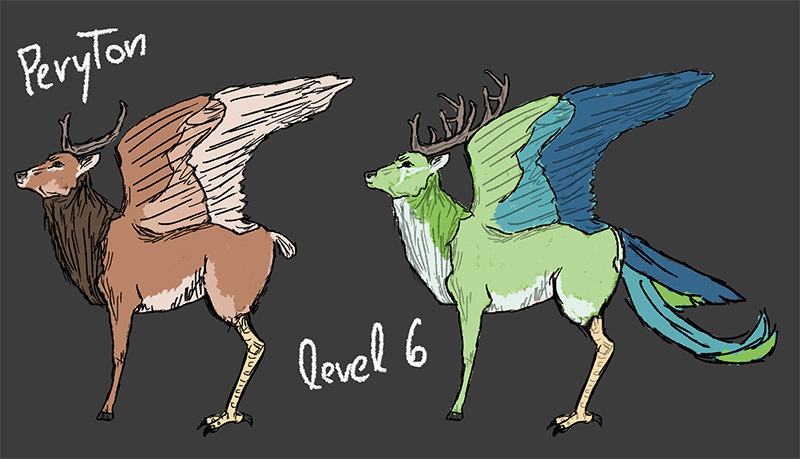 level creatures. Death knights, alchemists, demoniacs, planewalkers start with magic books if i remember correctly. Shacles of war is ability with minuses. You can unequip sow anytime. 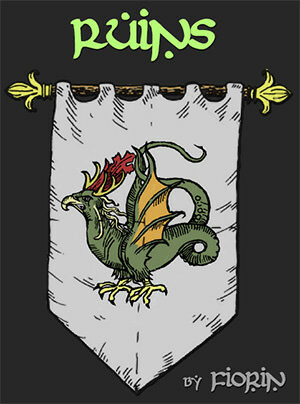 But this ability will lead to defeat if enemy army is strong enough. So this is good ability and in Wog Astral had it. Huldra has battle no fleeing bonus. So it's like having Shackles of War at the start. Definitelly too powerful. I don't think it's too powerful at all, completely useless during creeping. In fact I'm glad that finally someone used this ability. In Axolotl's Creature Pack mod Tentoslimus creature has this ability. It's more interesting - when someone has this creature during battle - nobody can't flee. When Tentoslimus is killed - retreat icon is available for pressing. 3. You must properly calculate AI/Fight value. These values are for random map generating and AI behaviour. You have good, tiny calculator at mod wiki list. 3. Forgot about that value. Both Fight and AI value. Edited by fred79 at 14:01, 12 Feb 2018.
not bad at all; very nice, in fact. Edited by fred79 at 15:36, 12 Feb 2018.
i was asking if you wanted any help fine-tuning your adventure-map dwellings or castles. i can help periodically, as long as it's not bulk work(or where you're on a timeline). i've helped other people with their projects in the past, and i'm sure they can tell you i'm decent with tasks like these.